Maximize the uptime and solution value of your private cloud through a Mirantis Support subscription. Mirantis offers a spectrum of annual enterprise support subscriptions to match the level of support you and your team need for successful deployment and operation of a private cloud, whether you choose a managed services option or prefer your internal IT Ops team to maintain cloud operations. 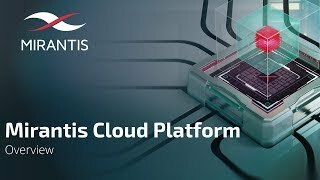 We provide support subscriptions for Mirantis Cloud Platform, our uniquely comprehensive solution built with leading open source infrastructure technologies including OpenStack, Kubernetes, OpenContrail, Ceph, and more. These technologies are unified and integrated via DriveTrain, our lifecycle management engine based on Infrastructure as Code, and continuously monitored via the StackLight Operations Support System. Assure your management that the appropriate service-level agreements are in place to get help when you need it from the cloud experts with the most real-world experience supporting open source infrastructure software. Mirantis will take ownership for third-party cooperation (for OpsCare and ProdCare support options). Receive notifications for critical software issues, and update your cloud via Mirantis-developed artifacts continuously delivered to you for consumption through the DriveTrain lifecycle management system. DriveTrain also supports seamless upgrades of major releases of Mirantis Cloud Platform components such as OpenStack, Kubernetes, Mirantis OpenContrail, etc. In the case of OpsCare, updates and upgrades are part of the offering and performed by Mirantis as part of the curation of your cloud. DevOps Portal main dashboard shows overall API availability, error count, tenant count, and other metrics at a glance. DevOps Portal logging dashboard graphically displays logged events relating to OpenStack core services. By switching to cloud, companies can improve developer productivity by 400%. And, by deploying a private cloud, companies typically save 40%-60% versus a public cloud alternative. By partnering with Mirantis for deployment and operation of your private cloud, you ensure that your company can achieve these benefits with decreased risk. Building and operating a private cloud is a complex endeavor. Attracting, retaining, and growing team members with the required skills is costly and time-consuming. 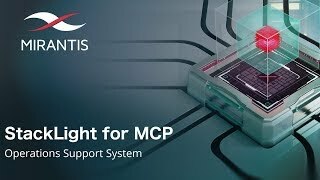 As a major contributor to the open source projects included in MCP, Mirantis has already developed the engineering skills needed to build and maintain a reliable cloud. And, through our work with some of the largest private clouds in the world, we’ve developed best practices that we use to run your cloud for you, so you can focus your team on what really matters: delivering exceptional experiences to your customers. Because Mirantis is a major contributor to the open source code we deploy for your cloud, we’re able to provide fixes rapidly and work with the community to ensure the fixes are implemented upstream so that your cloud isn’t based on forked code. The combined expertise based on hundreds of Mirantis software engineers can be leveraged as needed to solve your issues, providing much greater scale than you could achieve on your own. With our enterprise support and managed services subscriptions, there are no additional license, maintenance, per-incident support, or user access fees. Simply maintain an active subscription and get all of the above benefits. Managed Services goes beyond enterprise software support to full remote operations for your cloud. Support for your IT Ops team managing business critical clouds e.g., certain production environments, Big Data analytics. Support for your IT Ops team managing non-critical clouds e.g., dev/test, non-production clouds.